Evan Ramsey's tattered life filled him with rage. Then he brought a shotgun to school. BETHEL — The day he shot up his high school didn't unfold at all like Evan Ramsey expected. It was 20 years ago that Ramsey, then 16, arrived on the bus with a shotgun hidden in his pants. His childhood was exceptionally difficult — father in prison, mother who drank, abusive foster homes — but he and his little brother had settled in with their longtime legal guardian, Sue Hare, who also was the school district superintendent. Inside, Ramsey was seething. He was picked on, a slight boy whose tattered early life made him vulnerable, Hare remembers. He says kids called him Screech after a nerdy character in the 1990s sitcom "Saved by the Bell." That was the best of it. He felt hurt and rejected, mistreated and disliked. His family was broken. 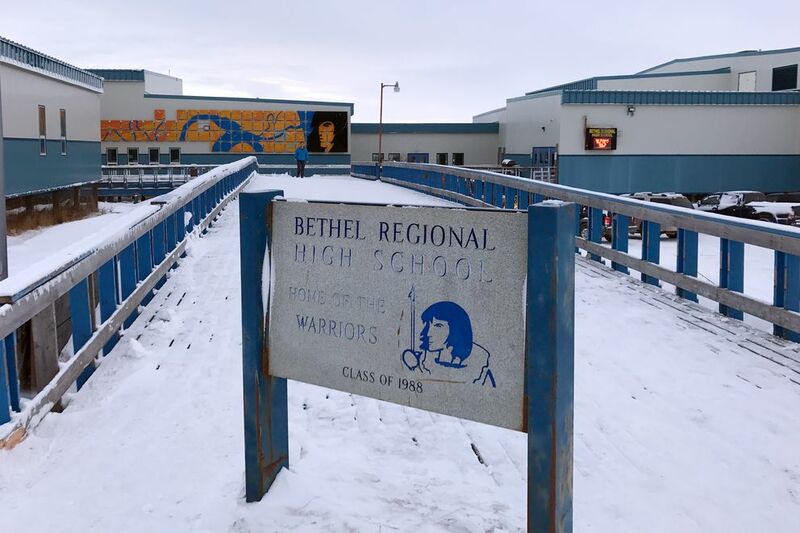 What happened at Bethel Regional High School marks the first and only school shooting in Alaska. 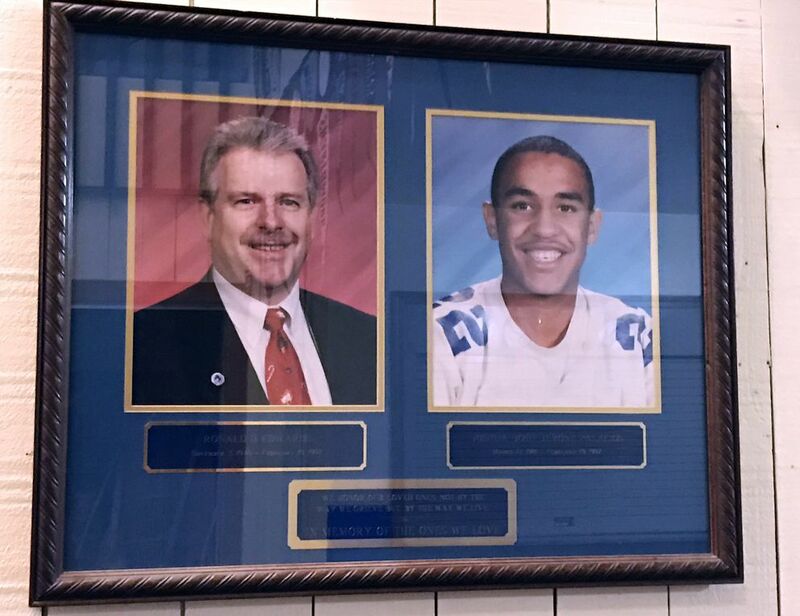 On Feb. 19, 1997, in the span of 15 minutes, Ramsey fatally shot Principal Ron Edwards and fellow student Josh Palacios. Two other students were wounded. Many more were terrified. Some in a community that grew closer in tragedy are haunted still. They may never get over it. Ramsey told parts of his story recently in two interviews, including one at the Anchorage jail. "The initial plan, what I actually expected to happen, is I would bring the shotgun to school and fire into a crowd of people. 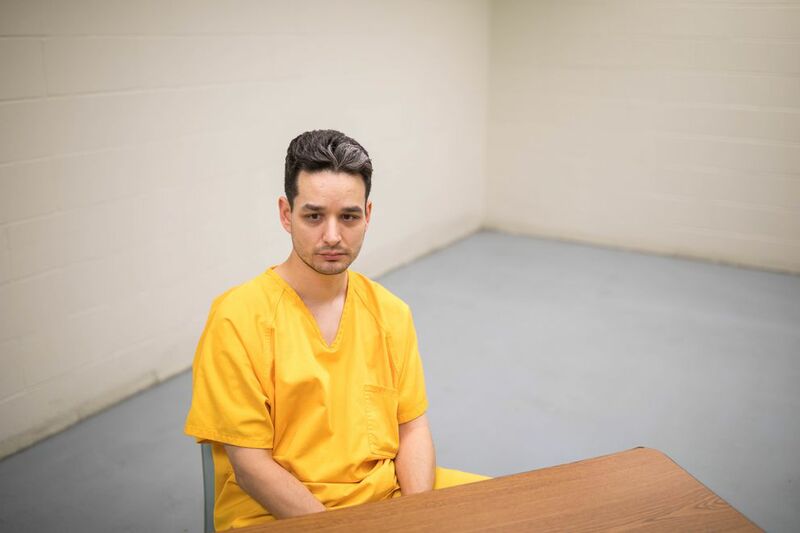 I would pace back and forth in the lobby, ranting and raving and yelling and screaming and telling people how I felt," said Ramsey, wearing his sunshine yellow prison uniform. He was temporarily being held at the Anchorage Correctional Complex. Heavy prison doors clanked as he spoke. That day in Bethel, he didn't expect everyone to run out in panic. He thought he could fire away and keep an audience of kids listening to him tell all the terrible things that had happened to him. "After which I would commit suicide," he said. He just wanted to be left alone. In a sense, he is. Ramsey said he is not making excuses or blaming video games, rock music or anything else, unlike how it sounded years ago in an interview with CNN's Anderson Cooper. He is not looking for sympathy. He said he is speaking up to say how wrong he was and to help others, like school counselors, understand the rage that took hold. What did he want to tell the families? "I can't say that I am sorry enough," Ramsey said. A correctional officer announced time was up. He said he hopes everyone he hurt will find closure, peace. Ramsey is 36 now, serving a 198-year sentence reduced from the original 210 years. Back then, he said, he needed help and didn't know how to get it. Around the country, school shootings date back decades. One expert, Peter Langman, starts the modern timeline in 1966 with the mass shooting at the University of Texas at Austin by Charles Whitman, the Texas Tower sniper. Bethel stood out in the moment, capturing the nation's horror over gun violence at school, a place that is supposed to be safe and nurturing. The remoteness of this Bush Alaska hub amplified the tragedy. The much bigger Columbine shooting in Colorado — with 15 dead, counting both teen shooters — wouldn't happen until two years later. Since 1997, schools have added anti-bullying programs. New security measures are in place. Two boys were in on Ramsey's plans and other kids were told to watch for something big happening that day. Schools now emphasize the importance of speaking up, before the worst happens. "You are not squealing if you are saving your life," said Reyne Athanas, who was the school's art teacher 20 years ago and confronted Ramsey over the gun. Ramsey's father was notorious before he was. For a long stretch, the family was relatively normal, living in an apartment in Anchorage's Mountain View neighborhood and father Don Ramsey driving a cab. Then, in 1986, Don Ramsey shot up The Anchorage Times. He was enraged over publisher Bob Atwood's refusal to print a ranting political ad. No one died, but he went to prison for 10 years. The family, with Evan the middle of three boys, fell apart. Mom lost herself in alcohol. "My mother, she chose drinking over us and we were taken away by the state," Ramsey said. The boys shuffled back and forth between sometimes abusive foster homes and the mother whom Ramsey always loved. One foster father whipped his hands with a bungee cord, Ramsey said. The family's biological son pinched and punched the Ramsey boys, according to a description in a 2002 court order issued in Ramsey's appeal. There was also sexual abuse in foster care, the description said. When the family was living in the Kuskokwim River village of Napakiak, where his mom drank home brew and her boyfriend was violent like others before him, the boys fled one cold winter night, a story that older brother John told at Ramsey's trial. They were found the next morning in an unheated arctic entryway. Soon the youngest two were living with Sue Hare in Bethel. 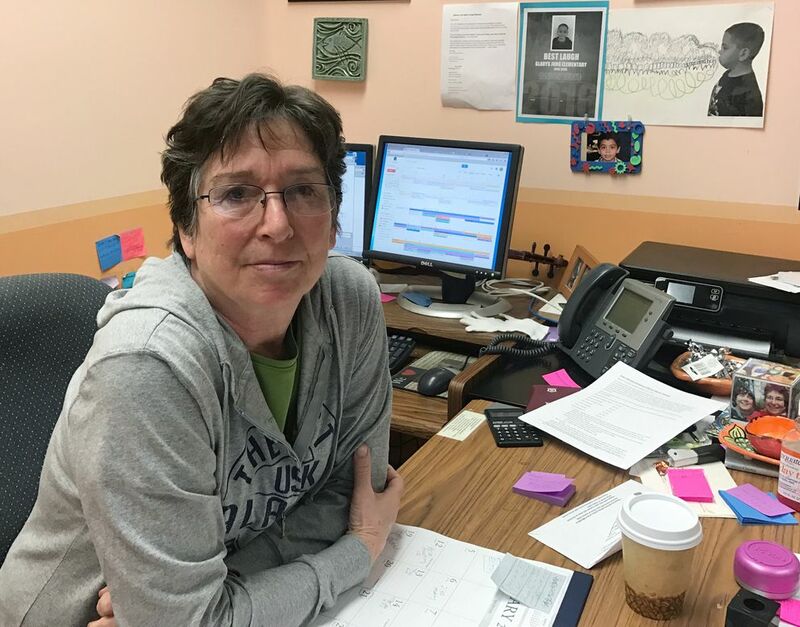 Hare, then the longtime Lower Kuskokwim School District superintendent, has been described as the foster mom but actually was legal guardian for Evan Ramsey and his younger brother, William. She did it for no money, which endeared her to Ramsey. Reached by phone in Bethel, where she still lives and has children and grandchildren, her memories and feelings spilled out despite her reluctance to talk. It was the first time she had told her part of that worst day. She's the one who hired Edwards as principal. "There is no upside to this," no lessons learned, she said. Mostly, she said she worries for Ramsey. He was a shy, gentle boy who couldn't have meant to kill anyone, who couldn't have known that his life would effectively end too, she said. "If people want to feel sorry for someone, I recommend Evan," Hare said. She was a single mom, adopting Yup'ik twins as she and her late husband had planned. He drowned trying to save a child, she said. Over the years, Hare took in other children who needed a temporary home. The Ramsey boys moved between Hare, their mom and others, including a potential adoptive home. "I took in a child who was living in unbelievable circumstances," Hare said. "But when he was living with me I never saw a side of him that would make me think he would do anything like he did." She has agonized over what she could have done differently. "It wasn't all smooth sailing," Hare, now 76, said. The children had been through a lot. There were squabbles. "It wasn't happy, happy Mary Poppins." Yet: "I thought we were doing well. Obviously I was wrong." Hare was nice and her home was normal compared to what else he knew, Ramsey said. The boys called her "Sue." They didn't sit down for family dinners but often Hare cooked and the boys could serve themselves, as Ramsey remembers it. When he was bullied at Bethel High, he said, Hare backed him up and encouraged him to take the mature approach and report the mistreatment. Ramsey said he did that a few times but things never seemed to get better. "I've been spit on for being half-Native. I've been beat up for being half-white," said Ramsey, whose mother was from the Yukon River village of Holy Cross. He wasn't the classic loner. His best friend was from a good family. But his clothes were baggy, his hair was cut close and he was socially awkward. Sometimes he called names right back and got into trouble along with the instigator. The bullying intensified. He stopped reporting it. He wishes he had let Hare know how bad things were at school, how angry he was, how he was overwhelmed by a turbulent life. He wanted to shout out about all that was wrong right after he blasted the shotgun. What he desperately wanted, Ramsey said, was an adult to help him deal with the power of his despair and emotion. His advice for preventing such tragedy? Pay closer attention to kids and their troubles. Follow up with them. Kids can do more too, he said. It would have made a big difference if one had just told him that he was all right, that the teasing didn't mean he wasn't liked. "That might have allowed my outlook on things to change slightly," he said. The month before the shooting, his father was released from prison. Ramsey didn't know what to think or whether they would try to have a relationship. His father had never written him in all those years. "He was just another person." At least one teacher did connect with Ramsey. Reyne Athanas was in her last year as the school's art teacher. That winter, Ramsey was in her yearbook class. "We had a really good working relationship. He was responsive when I made suggestions," Athanas said. "He was a good student." Then, a day or so before the shooting, Ramsey shut down. When she asked him how he envisioned a particular yearbook page, he said he didn't care. He walked out of the classroom. She reported the odd behavior to the dean of students and his counselor. She urged them to talk with Ramsey and Hare. "Something was obviously not right," Athanas said. But nothing happened to stop Ramsey. Two weeks before the shooting, Ramsey made his plan. His girlfriend had broken up with him. But he said no one thing pushed him over the edge. It was his whole tormented life. He got the shotgun from a rack at the Hare house. It had belonged to Hare's late husband. He had no idea how to use it. The first time he ever fired a gun was that day at school. He enlisted two other boys. Both were later charged in juvenile court as being accessories. An appeals court threw out murder convictions against the one who showed Ramsey how to fire the gun. Other kids were told too. Some just knew to look from the second-floor library balcony for something big to happen. One girl made Ramsey promise not to follow through but his word wasn't any good. Why, Ramsey wonders now, didn't any of those kids come forward? Athanas asks the same thing. Educators say more kids speak up now, with so much attention on the horror of school shootings. The night of Feb. 18, he wrote two notes later found by investigators and used against him at his trial. "I have thought to myself, what kind of damage can a 12 gauge slug do to a human's internal organs or their head? Well today I found out, and so did everyone else that is in school," one said. The other singled out the principal, Edwards. "I was told this will be his Last year, but I know it WILL BE HIS LAST YEAR," Ramsey wrote. That morning, like normal, Hare woke up Ramsey and his little brother for school. Ramsey slid the loaded gun down his pant leg, grabbed more shells and rode the school bus to Bethel High. The bus company, Golden Eagle Unlimited, later was sued for failing to spot the armed Ramsey. It took the matter to trial but settled the case by agreeing to pay $1.1 million to the victims' families. The temperature was right at zero. The sun was just rising. Around 8:45 a.m., just before the start of classes, Ramsey walked into the school lobby and pulled out the gun. Edwards was inside, a Marine and Vietnam veteran turned educator. So was Josh Palacios, a popular 16-year-old and rising basketball player with a smile that lit up the room. Ramsey said he fired into a crowd hanging out at tables. Josh was hit in the chest. Yet Josh wasn't one of his tormenters and wasn't a target, Ramsey insisted. "I wasn't out to get him, if you will," he said. It sounds ridiculous now, even to him, but he says he thought he could shoot and no one would die, like in the "Doom" video game he played into the night. He remembers watching a television program in prison that referenced how the teen brain isn't fully developed, how teens aren't yet fully rational beings. Athanas, who now is coordinator of the Yupiit Piciryarait Cultural Center in Bethel, was in the teacher lounge when she heard popping sounds. Someone said it was gunfire. Students started running down the hall. "He's got a gun! He's got a gun!" kids yelled. She went into the lobby and saw Ramsey firing the shotgun into the ceiling. "I went to get it from him, to talk to him about it," she said. Tables were overturned. Then she saw Josh, bleeding from the gut. "Why did he do that?" Josh asked. He said it hurt and he needed a doctor. Athanas told him he would be OK. A friend stayed by his side. Put the gun down, she told Ramsey time and again. "You don't need to do this." But he pointed the shotgun at her, then took off running down a long hallway toward the gym. He did that a couple of times, running out through one set of doors, then back in through another. Sometimes, he pointed the gun at himself. "I knew he shouldn't have that gun. He was a danger to himself and others. It was my job to take it if possible," she said. Panicked students and teachers huddled in locked classrooms or were shuttled outside, then to the neighboring school district office. They hid in the dark listening to gunfire. A teacher pulled the fire alarm to warn off those just arriving. "Totally normal winter morning, then pandemonium," said then-sophomore Andy Angstman, who went with a group out the back of the school and onto the tundra. "Everything changed for everybody." "Where is he, where is he?" teachers asked. During a lull, Edwards stepped into the lobby to check on Josh. Ramsey came back in through the main doors, Athanas said. Edwards tried to duck back into his office. Before he made it, Ramsey shot him. At one point, Ramsey said, he was ready to hand his gun over to Athanas. He said he trusted her. She never allowed mean treatment in her class, he said. Then he spotted another teacher behind her. He got skittish and raised the gun instead. Ramsey started running up the stairs toward the library. Bethel police had arrived. He fired toward the lockers — a misfire, he said. Police shot back. "I don't want to die!" Ramsey shouted. At last, he threw down the shotgun. At the Bethel hospital, a medical team mobilized. Dr. Bill Eggimann, who had a 14-year-old at the school, took the lead on Josh. Nearby, another doctor worked on Edwards. Both had suffered huge shotgun wounds. "Do whatever you have to, Doc, but I am going to die," Eggimann heard Edwards say from behind the curtain. Josh was put under anesthesia and flown to Anchorage for surgery. Neither could be saved. Edwards had a wife and children; Josh, parents and brother. Efforts to reach the families for this story were unsuccessful. "There are really terrible things in the world. And that was one of them," Eggimann said. His son and Josh played pickup basketball together. "He was my son's friend and I wasn't able to save his life." Bethel, with about 6,000 residents, is tight-knit. People often connect in multiple ways, work and school, sports and outdoor living. "That's why it hurts so much," the doctor said. The residue was embedded deep. Athanas said she fell into a depression. A potter, she stopped creating art for a year. She didn't like going places where there would be people she didn't know. Now she looks for the good in life. At the cultural center, she helps put on concerts, art shows and Saturday markets. More than ever, she pays attention to how people treat one another. Hare, the school superintendent and Ramsey's legal guardian before the shooting, instantly resigned from her job. She never returned to her office, not even to clean it out. "It destroyed my life for a good 10 years," she said. Susan Murphy was her administrative assistant and the women were close. She resigned too, a couple of years later. "It made me realize a lot of things go on that the adults have absolutely no idea of," said Murphy, who stayed involved by getting elected to the school board. She's the chairwoman, beginning her ninth and last year on the board. "I tend to hold my kids and grandkids and almost any kid more closely than I did." The state responded to the Bethel shooting and others. Lawmakers quickly required school crisis response plans and security training, though later backed off on annual drills. 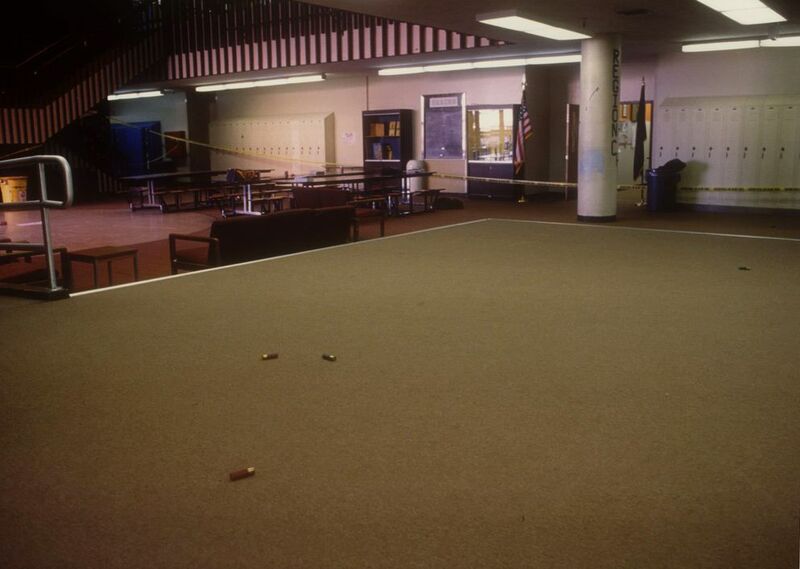 After the 2013 Sandy Hook Elementary School mass shooting in Connecticut, the Alaska Legislature invested $21 million in improvements: upgraded doors, locks and security cameras, anti-bullying programs and training in how to identify potential threats. 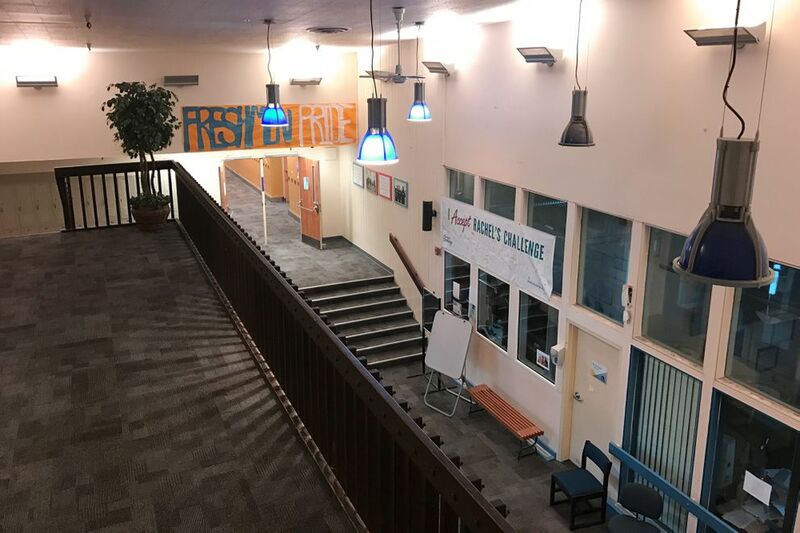 The Lower Kuskokwim School District, like others in Alaska, has come a long way in working on the emotional and social climate of schools as well as the physical safety features, said Superintendent Dan Walker. Every child at every school should know of a caring adult at school they can confide in, Walker said. Bethel High this year brought in the Rachel's Challenge program, named after the first victim at Columbine. One strategy involves ice-breaker activities with students asking each other both personal and academic questions. The more you know someone, the less chance you will bully them, said Principal Ed Pekar. People connected to the shooting still check in with one another around this time every year. Some meet up. 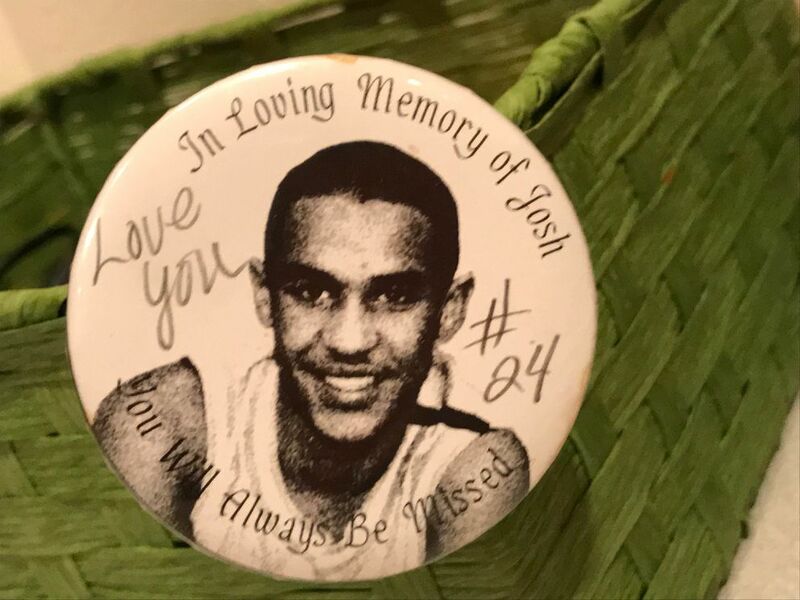 There's tragedy upon tragedy in the Yukon-Kuskokwim region and even among Josh's fellow basketball player friends, said Angstman, a teammate who now lives in Anchorage. One was paralyzed in a snowmachine crash. Another died after a house he was working under fell on him. Ramsey has now spent most of his life in prison. He got his high school diploma early on. He spent 10 years in private prisons Outside where he says the low-paid guards mainly left inmates alone. He didn't take classes or do programs like anger management for a long while. What was the point? But now, he says, he thinks he should work to improve himself. His main sense of life outside over the past 20 years comes from television programs: MTV's "Real World," "Keeping up with the Kardashians," CNN, Fox and network news. He has his own television and pays for cable from the money he makes at prison jobs. He has a digital music player and can get songs — he likes subgenres of heavy metal — at a prison kiosk. 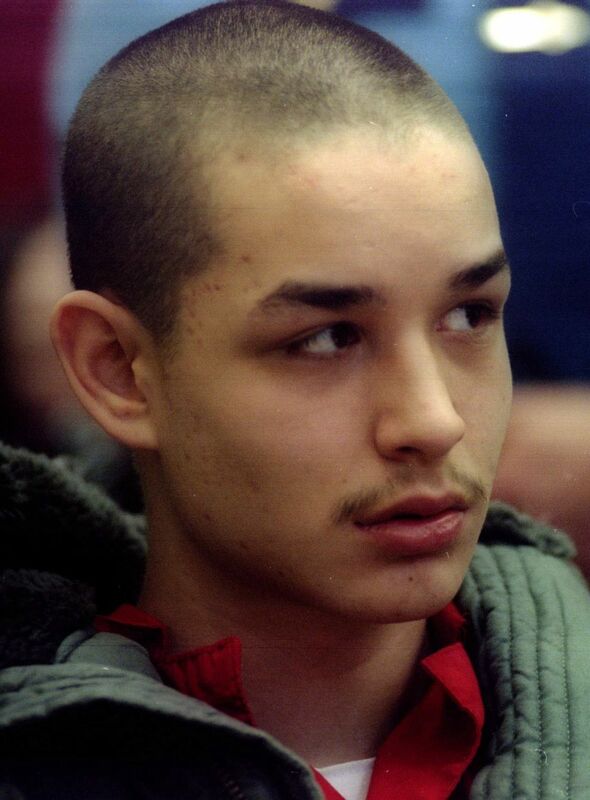 He was just moved to Wildwood Correctional Center on the Kenai Peninsula. Earlier at Mat-Su's Goose Creek prison, he worked as a landscaper in warm months and shoveled snow in winter. He agreed to be a hair model for the prison barber training program. He is going gray already. He gets letters from strangers, those who want to be his friend, those trying to make sure he found Jesus, those who want to talk about his crime. He doesn't get many visitors. Hare never writes or visits. His mother saw him early on but both of his parents died within months of each other back in 2005. He has lost touch with his brothers and desperately wants to reconnect. Only in his mother's death did he realize the enormity of what he did, how he forever deprived those Bethel families of what was most dear. He will first be eligible for discretionary parole in 2063 when he is 82, according to the state Department of Corrections. Ramsey doesn't expect to ever go free.